Mark those first milestones with this adorable My First Tooth & Curl set from Disney Classics. 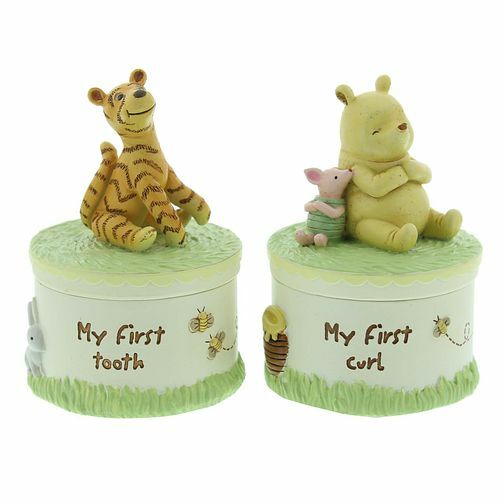 The My First Curl box features Disney Favourite Winnie The Pooh and his much loved friend Piglet, while the My First Tooth box features their other loved friend Tigger. Box boxes features woodland designs and honey bees for a charming finish.